Hearty Meals, Great Sport, Superb Company! 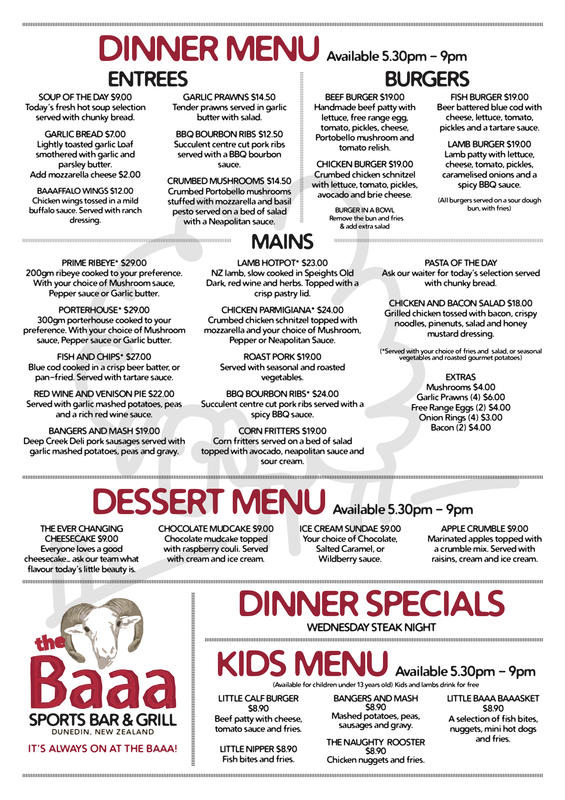 Check out our mouth watering menus below. If you have any questions about dietary requirements please give us a shout. 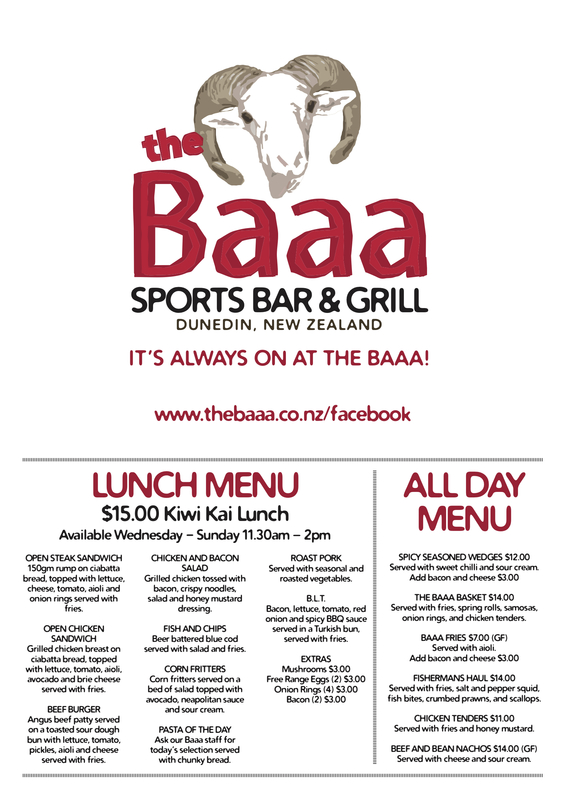 See you at The Baaa soon!